If you’ve ever dealt with pain, especially chronic pain, then you know how hard it is to think about or do anything else. You just want to make the pain go away as quickly as possible so you can finally get relief. This approach--pain relief as quickly as possible--can lead to an unhealthy reliance on pain medications such as opioids, which can lead to tolerance and addiction. But there are other ways to cope with chronic pain than just taking a pill. These opioid alternatives might require a bit more effort, but they can bring relief without unpleasant side effects or the risk of addiction. This form of traditional Chinese medicine involves the insertion of very thin, sterile needles into certain pressure points in the body, which stimulates nerve fibers and signals the central nervous system to release natural chemicals that relieve pain. According to traditional Chinese medicine, energy, or chi, flows through specific pathways in the body. When illness, pain or inflammation are present, they block energy flow. Acupuncture helps to restore the flow of energy and relieve pain. Chiropractic is a common alternative treatment for back pain, though it can be used throughout the body. Hands-on spinal manipulation aligns the body’s musculoskeletal structure and helps the body heal itself without medication or surgery. There is substantial evidence that supports chiropractic as an effective treatment for low back pain or disability. Manipulations help to restore mobility to joints damaged by a tissue injury caused by a fall or repetitive stress, such as tension or sitting at a desk with poor posture. It’s commonly used to relieve pain in the bones, joints, muscles and connective tissues, such as cartilage, tendons and ligaments. Chronic pain triggers changes in the brain that are linked to anxiety, depression and impaired cognitive function, but research has shown that yoga has the opposite effect on the brain and can actually relieve chronic pain. Studies have found that chronic pain leads to changes in the volume of gray matter and the integrity of white matter connectivity. Gray matter consists of neurons and is abundant in the cerebrum, cerebellum and brainstem. White matter is the filaments that extend from gray matter and create communications pathways between various regions of the brain. The volume of gray matter and the integrity of white matter decrease with age, but yoga has shown to offset the decrease of gray and white matter and reduce the perception of pain by volumizing gray matter and strengthening white matter connectivity. Aromatherapy for chronic pain uses essential oils, which are highly concentrated extracts from plants that contain medicinal healing properties. Essential oils offer numerous therapeutic benefits that promote rebalancing and healing for the mind and body. When applied topically, essential oils are delivered to cell membranes and diffuse throughout blood and tissues, increasing immune function and circulation. Lavender, chamomile, rosemary, peppermint, bergamot and eucalyptus oil can reduce inflammation and stimulate circulation. While aromatherapy isn’t a proven treatment for chronic pain, there is research that supports its efficacy in reducing pain in the low back and knee, as well as chronic pain caused by surgery and multiple sclerosis. Prescription opioids aren’t the only way to reduce chronic pain. At Hemet Valley Recovery Center, our Chronic Pain Program has helped hundreds of people get relief from pain and recover from addiction. 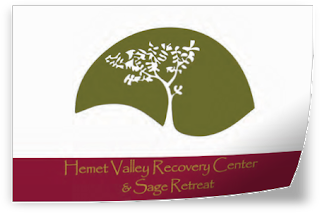 For more information about our holistic therapies and pain management alternatives, contact us at 866.273.0868.